The Black Elephant is a bespoke web design firm in Nashville, TN. We focus on creating clean and usable interfaces, SEO-friendly HTML markup, and progressive CSS design. 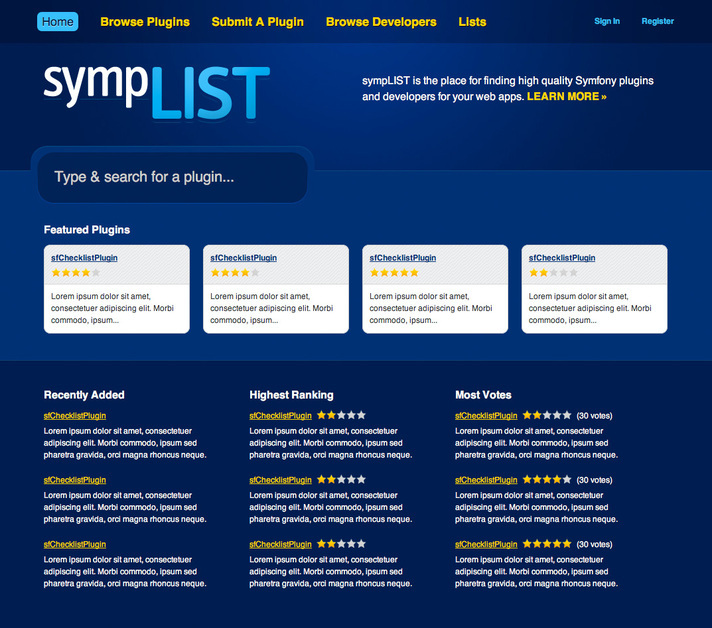 Recent homepage design for the Symfony plugin and developer directory SympLIST.